Black Rose/Rosa Negra Anarchist Federation | US political organization building popular power from below / Organización política construyendo el poder popular desde abajo. Llamado para Solidaridad y Fondos para l@s obrer@s de Haití! Een onnatuurlijke ramp: Solidariteit voor Haiti! As I seriously consider the prospect of seeking economic asylum from the “Great Recession” in the university, I find myself ruminating more frequently on my experience as a student organizer. 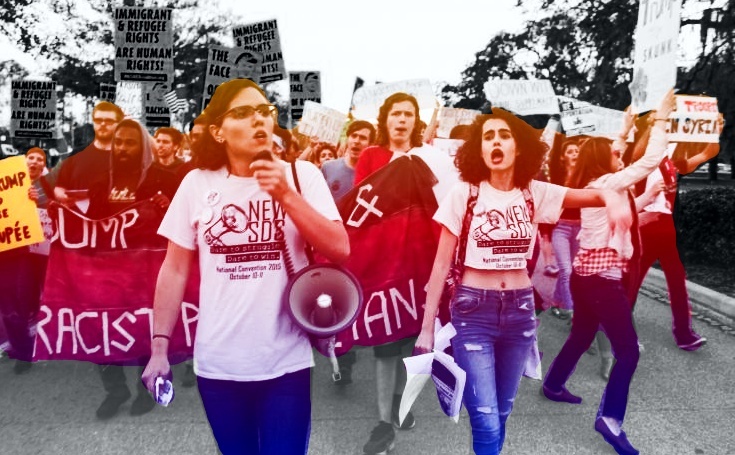 The group I helped found at my university, a chapter of United Students Against Sweatshops (USAS), is no longer there; even though I only graduated two years ago. It has vanished without a trace; the only sign alerting to our short-lived existence is an infrequently updated student organization website that still list’s our student group’s name as an active organization. It doesn’t come as a surprise to me that the group fell apart after the graduation of a few core members. Despite learning many important lessons near the end of my time as a student organizer, their late implementation greatly hindered our chances of success; as such I think our demise as a group was inevitable. This is a fate suffered by many student organizations in the U.S. The student organizing landscaped is littered with the corpses of militant sounding acronyms, cancelled domain names, and list serves that were deleted due to inactivity. Yet, this dump site could be rehabilitated, and there are plenty of good reasons as to why it must be. In the following analysis I intend to discuss my own experience and trajectory as a student organizer, lay out what I think are the most important lessons, and outline what I believe students need to be doing in order to build a powerful and combative student movement. On November 19th, MAS hosted a public talk and discussion on the struggle and social movements in Iran. The event occured in Miami at FIU-North, and the recording has been uploaded here.